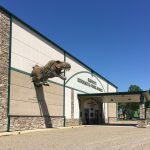 I saw the sign for the Glendive Dinosaur Museum and figured it would be an interesting opportunity to see a local museum in a very paleontologically rich area. 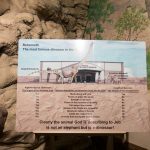 On entering, I was surprised to find that this Museum looks at the world from a Creationist perspective, dating everything from the Biblical calendar, with The Flood and Noah’s Ark being a critical juncture. 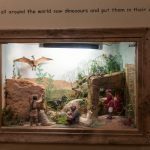 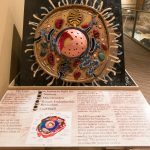 The museum seeks to poke holes or raise questions wherever it can, about geology, evolution or other science that might contradict their Creationist interpretation, and offers its own version of ‘scientific’ explanations. 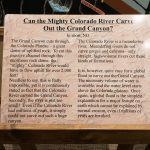 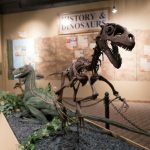 I was impressed by the quality of the Glendive Museum; it seemed to be well-funded, creatively done, and full of friendly, attractive Christian staff who were happy to discuss anything and everything at length with museum visitors. 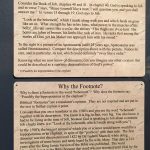 While that was all positive, the ‘logic’ used in the exhibitions and explanations brought me brought me back to my days at school as a debater where the goal was to look for any potential weakness in your opponent’s argument, real or imagined, and use that to cast doubt upon and destabilize the basic proposition. 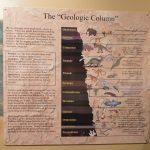 While there are definitely ongoing discoveries that fill in gaps in all the sciences, including geology and evolution, the museum’s creators brilliantly exploit those unknowns to ‘prove’ that modern science is completely ‘wrong’. 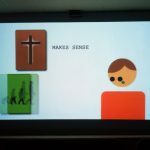 I completely respect all personal religious or other belief systems so long as those beliefs don’t infringe on or hurt others. 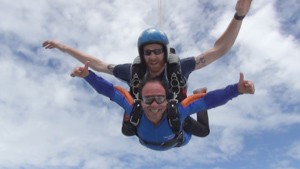 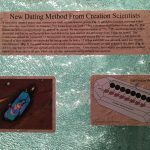 I also understand how to outsiders anyone’s faith or culture could seem strange. 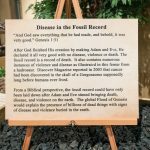 My own Jewish tradition has Jews as ‘chosen people’, Moses receiving the Ten Commandments directly from God on Mount Sinai and rules around eating Kosher assuming that God cares how many hours have lapsed between when you eat meat and milk. 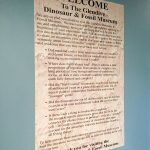 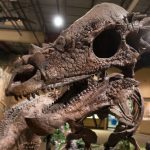 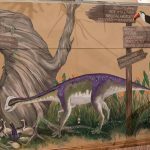 My concerns with the anti-evolution, anti-science Creationist viewpoint put forth at Glendive Dinosaur Museum are around its’ use to shape U.S. laws and policies. 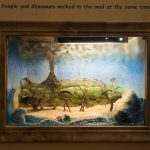 Restrictions on school curriculum and threats to funding for established science due to Creationist viewpoints would have disastrous ramifications. 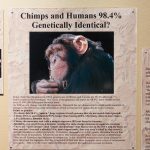 Particularly against the backdrop of this season’s political discord, I came away very concerned that this attempt to subvert evolutionary science could result in a nation that is unable to compete internationally. 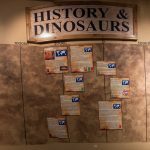 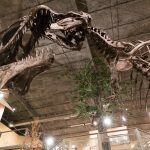 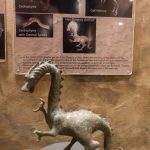 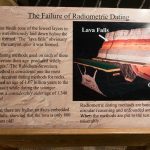 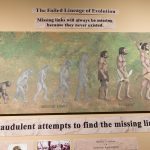 While Glendive Dinosaur Museum claims to be providing alternate scientific “evidence”, it is pseudoscience. 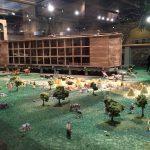 Literalism and Fundamentalism are absolutely fine, as practiced in one’s home or place of worship. 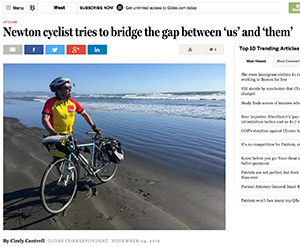 Any attempt to impose these views on broader society can have dangerous consequences.